Set It Off 2013 with Blair Underwood and Frank Underwood, Jr.
Oh, my! I’m Setting It Off in 2013 with Blair Underwood and Frank Underwood, Jr. 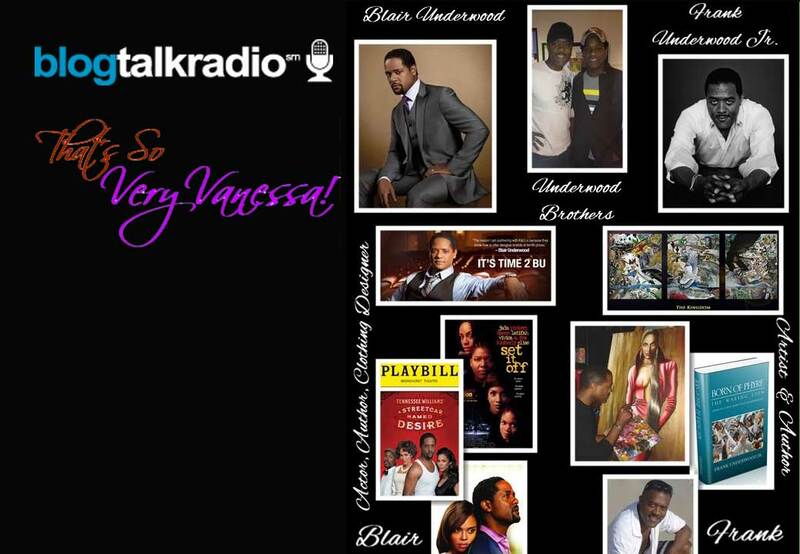 The Underwood Brothers are both my guests this Sunday, January 6, 2013 on That’s So Very Vanessa! BlogTalk Radio. What a way to start the year!